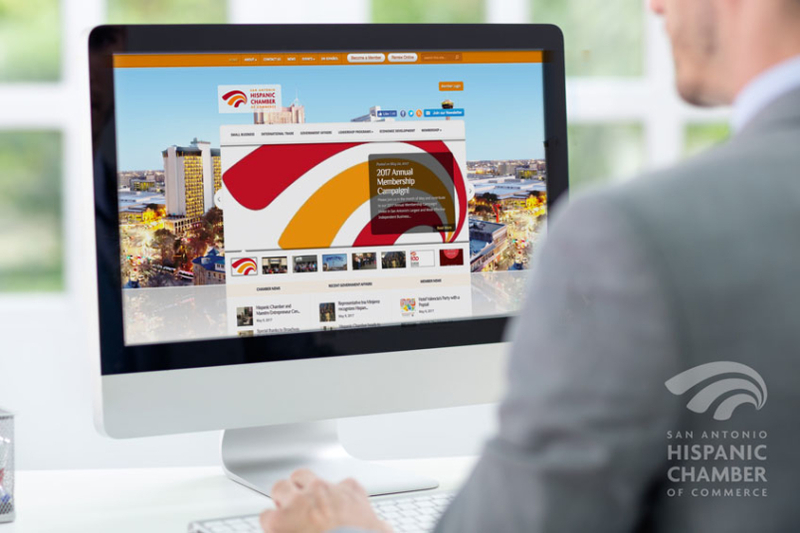 As the largest and oldest chamber of commerce in San Antonio, the San Antonio Hispanic Chamber of Commerce needed a robust, scalable, and easy-to-manage website. Their wishlist items included a content management system, events calendar, membership directory, and member login area. We gave them all that and more! We know that SAHCC values their members above all else because that’s who they serve. They want to not only attract new members, but also engage their current members. Each page functions to call attention to Become a Member or to Renew Online. 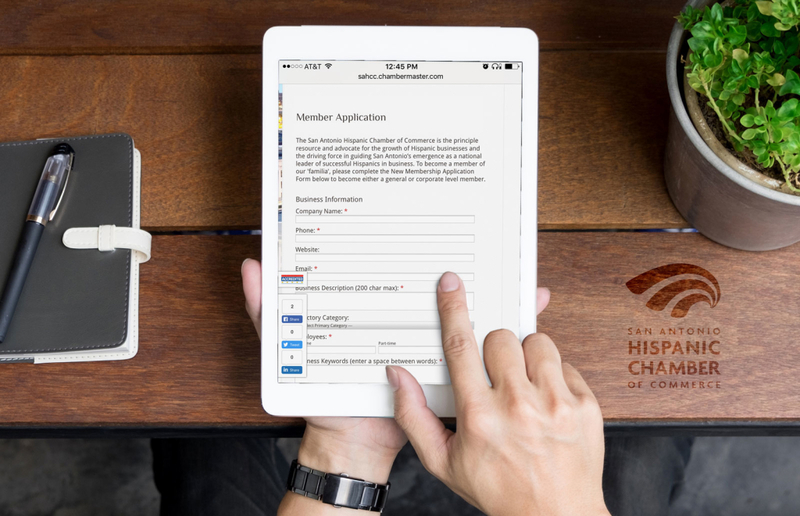 This online process makes it easy for current members to renew their membership at a time convenient for them by simply logging into their member account. It’s also convenient for brand new members to sign up on the spot. SAHCC wanted to integrate membership benefits within the site by providing a membership directory. This directory allows anyone to look up businesses who are affiliated with the chamber by various categories – Advertising & Media, Agriculture, Fishing & Forestry, Arts, Culture & Entertainment, Construction Equipment & Contractors, Finance & Insurance, Health Care, Manufacturing, Production & Wholesale, Public Utilities & Environment, and Shopping & Specialty Retail. And you guessed it, it’s a dynamic list that the chamber can easily manage themselves and continue to grow exponentially. Because the website receives a lot of traffic, we thought it would be smart for them to offer premium advertising space. Throughout the website, there are strategically placed ads. SAHCC staff has the ability to easily manage their advertisers and placement within the WordPress CMS. As with any Chamber of Commerce, a large number of events are going on week to week. We helped them organize it all through some smart filtering. All events are displayed in chronological order on the Events page, but when hovering over the Events tab, featured events and categories can be displayed. If a user is interested in something more specific, such as empowering their small business or learning how they can utilize international trade resources, we’ve created a sub navigation to direct them where they need to go. This constant flow of new information allows members to utilize the full potential of their membership. It also shows off the perks of membership to those who have yet to join! With the core site functionality aside, let’s take a look at the small details we’ve implemented that can create a big impact over the life of the site. With social media sharing links incorporated into each page, web visitors can quickly share a an event they’ll be attending with just a few clicks. This is a great way to create awareness. We know much SAHCC depends on their email marketing because we created their custom email templates. So we wanted to make sure every web visitor could easily subscribe to the Hispanic Chamber’s various newsletters. It’s an easy way to grow a quality email subscriber list. Sometimes when working with a client, we get these epic ideas and we pitch them. And most of the time, our clients are receptive to our ideas. So, we helped implement SAHCC University, a lunch break educational session that’s put on by businesses, for businesses. Say you’re an accountant. You simply come up with content that you know business owners want to hear about and set up your class. You teach them some stuff that they are excited to learn, all while promoting yourself and your business. It’s a win-win! A calendar of upcoming classes and a registration form keeps this educational platform going strong. Upon launching the new website, the Hispanic Chamber’s social media following grew to be the most dominant in the city. With a backend that allows SAHCC’s staff to simply login with their username and post and manage various events and news, they are then able to get their information in front of a larger audience through social media and email marketing. We’re honored to help them maintain their status as the largest chamber of commerce in San Antonio.